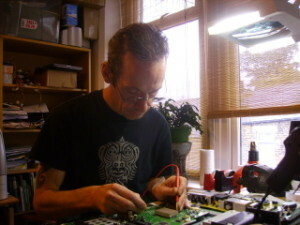 LaLuna Technology is an electronic repair workshop in Hadfield, UK. It is owned and run by myself, Dan Davenport. I specialise in musician’s amplification repairs, valve (tube) guitar amplifiers, mixing desks and PA. I can also repair other electronic equipment including portable audio and home hifi gear. Contact me by email or phone with make, model and fault details and I’ll see what I can do. Hadfield is near Glossop, twelve miles or 30 minutes from the centre of Manchester and twenty six miles over the moors from Sheffield. Visitors are very welcome but please call first to make sure I will be at the workshop. I charge a £16 diagnosis fee and quote you a price for the repair so if you decide not to go ahead (or fix it yourself or somewhere else), that is all you will pay. For a diagnosis and a repair I normally charge £32 for up to one hours labour then £16 per half hour after that. The minimum cost for a successful diagnosis and repair is then £32. 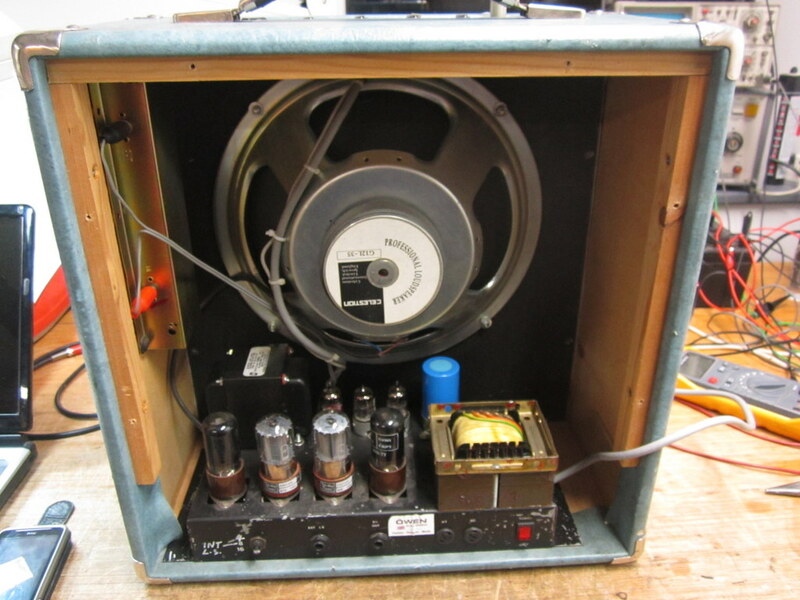 I can repair most makes and models of guitar and keyboard amplifiers of both the solid state (transistor) and thermionic valve or tube variety. If you have found details of a particular mod on the net that you would like to have done, just email me some links and I’ll see what I can do. Loss of power, slow warm up, valve rattle and crackles and pops are all possible possible symptoms of tired valves. A well gigged amp can easily wear out tubes in 6 months. Book it in for a valve test now. It is usually the foot switches that go on these and they can be replaced quite cheaply. I have worked on Soundcraft, Allen & Heath, Yamaha, Dynacord, Studiomaster, Midas and other makes of mixer. Common faults are scratchy and broken faders, dead channels and power supply faults. I have done a lot of work on the Dynacord Powermate series of portable powered desks that seem to be so popular with pub circuit singers and musicians. Please have a look at the Dynacord Repairs page. 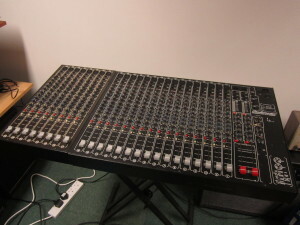 I cannot repair some faults on some budget mixers like Soundlab, Kam and Citronic as their service manuals and parts are unobtainable. Other makes like Behringer will not give me access to service information because I am not an “official” Behringer service centre so other than soldering in a new fader, I am working in the dark. From re-soldering a headphone jack to making up custom multi-way cables. Call me for a competitive quote. 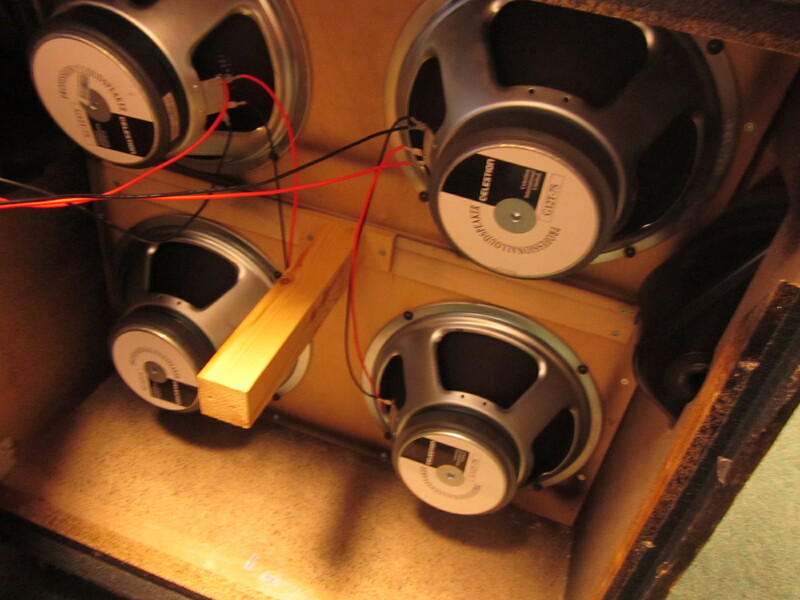 If your cab isn’t sounding as good as it used to, you may have a damaged driver or faulty wiring. Bring it in for a quick diagnosis. Get your amps (especially vintage ones) safety tested if you don’t want to risk going to rock heaven in the footsteps of Keith Relf of the Yardbirds. He sadly died from electrocution while playing through an badly earthed guitar amp. Valve amps can use HT supplies in excess of 500 Volts DC which is more than enough to stop your heart! A lot of venues ask to see proof of PAT testing before they let you play. A PAT test on a guitar amp, mains cable and multi way extension including a certificate would only cost you £16 and it may save your life. I do repair some home audio and portable audio gear. Please call or email with details of the equipment and the fault. Whether it can be fixed depends on getting the service manuals, tracking down the fault, availability of parts and the cost of repair versus buying new.